Futbol for Kids mission is to deliver as many soccer balls to underprivileged kids as possible. No kid should be denied the chance to kick a ball about – it’s one of life’s most simple pleasures. 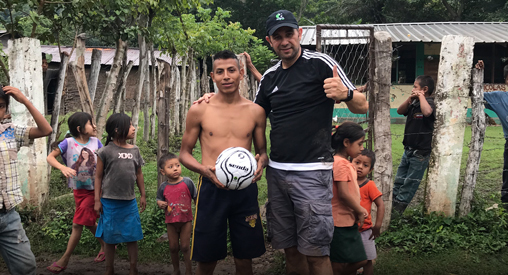 With the help of local organizations, high schools, colleges and soccer clubs Futbol For Kids has delivered soccer balls to Honduras, Mexico, Tanzania and Zimbabwe. Futbol For Kids is also excited to announce a 3rd trip to Honduras in Oct where we will deliver soccer balls to kids in Copan. Futbol For Kids is also shipping soccer balls in November to Guatemala and Mexico. As well as soccer balls, Futbol for Kids also delivers water filters and solar flashlights to families who lack access to clean water and electricity. One of the key problems in many areas is the lack of clean drinking water – thousands of kids each year die, or get seriously sick from drinking dirty water. Donating LifeStraw Family filters provides a family with 18,000 liters of clean water for 3 years. Solar flashlights are also important as many families do not have electricity. Kids can’t complete homework or read and their patients might have to use kerosene which is expensive. Luci Lights provide up to 12 hours of light per charge and are light-weight and waterproof. Please join us and help change a kid’s life with a donated soccer ball, water filter and/or solar powered flashlights. 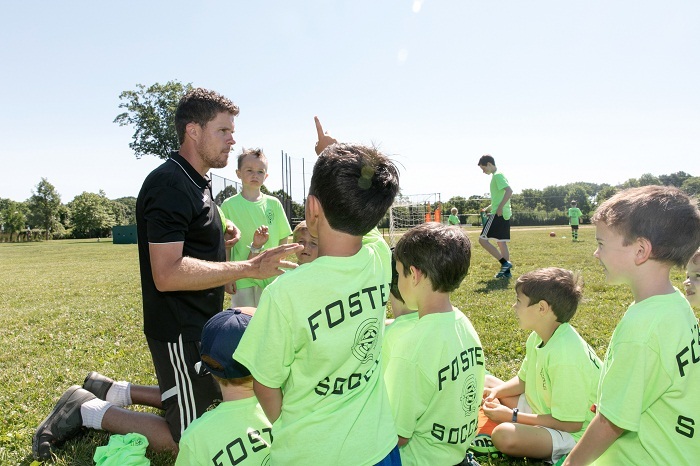 Foster Soccer is a Westchester based Soccer coaching company that runs a variety of soccer programs, camps and clinics with a focus on younger players, setting them up on their journey in the sport of soccer. Through a child-centered, fun learning environment the various programs give children the freedom to explore and enjoy the game and maximize learning situations and repetitions of the fundamentals of soccer. Foster Soccer believes strongly that Soccer is a sport that belongs to the children playing on the field – not the coach on the sideline. With this philosophy they believe this helps create greater growth and enjoyment for the children that play. Ben Foster is the Head Coach of Foster Soccer. He has spent his life playing, studying and coaching the game of soccer. He is currently the director of coaching at Larchmont-Mamaroneck Football Club where he responsible for program design, implementation and training as well as heading up many fundraising events for the club.